Roman Catholic priests first visited the Saulteaux and Métis at this fishing site in 1826. By the 1840s, it became one stop on a circuit known as the Lake Manitoba Mission, which included Duck Bay and Manitoba House. In the 1850s, the community grew with the arrival of Métis seeking land and free-traders using the Lake Manitoba route to the northwest. Father Laurent Simonet OMI because the first resident priest in 1864. The mission, renamed St. Laurent, became a well-established parish, with a church, school, and an Oblate novitiate. Until the early 20th century, St. Laurent remained the base for the itinerant missions around Lake Manitoba and Lake Winnipegosis, including Duck Bay, Swan Lake, Ebb and Flow, Crane River, Waterhen River, and Shoal River. 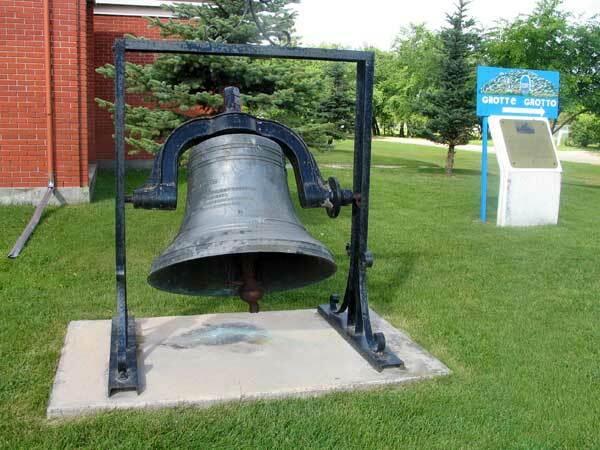 The bell in front of the church was cast in 1898. The church building, erected in 1963, replaced an earlier structure on the site. A monument commemorating those who died in the First World War, Second World War, and Korean War stands nearby. The St. Laurent Cemetery lies behind the church.